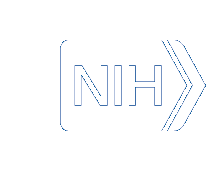 This subseries contains records which document Dr. Brown's responsibilities for developing and implementing program and policies while he held important leadership positions at NIMH. The bulk of the records date from 1966-1975 and largely cover his duties as Associate Director for Mental Health Service Programs in 1966, Deputy Director from 1967-1970, and Director of NIMH from 1970 through 1978. The records include correspondence, internal memoranda, reports, legislative material, meeting minutes, notes, organizational charts, press releases, published articles and clippings. The folders are arranged alphabetically by program or policy topic, and thereafter chronologically within the folder. Notable among Dr. Brown's records as NIMH Director are his monthly reports and director's memoranda, budget justifications, and 5-Year Forward Plans for NIMH covering 1977 through 1983. The forward plans focused on improving the country's mental health care system, preventing mental illness, cutting costs, overseeing several reorganizations of NIMH, and coordinating a Presidential transition in 1968. They also contain records pertaining to Dr. Brown=s participation in small staff focus groups that discussed upcoming planning challenges. This series also contains special reports and records Dr. Brown maintained on research grant requests. Topics covered in the special reports cover a wide-range of important mental health policy issues including aging, child mental health, crime and violence, mental health emergency services, community mental health centers, and mental health financing. Attached to this report is Addendum B which provides a list of reports arranged alphabetically by topics covered to aid in locating reports. Other important policy issues and administrative topics covered in the records include the administration of NIMH's regional offices, First Lady Roslyn Carter's mental health initiatives, federal-state cooperation in delivering mental health services, and equal employment and affirmative action policies at NIMH. NIMH's development of policies to advance women into the field of psychoanalysis and recruit minorities for leadership at NIMH during Dr. Brown's tenure is a prominent issue covered by the NIMH personnel records. Another program initiative in which Dr. Brown played a significant leadership role at NIMH was the promotion of a more effective partnership between State and Federal governments through his work with the Federal-State Relations Committee, an intergovernmental organization established to advance local governmental control in the late 1960s and early 1970s. Records pertaining to Dr. Brown's termination in 1978 by Joseph Califano, the Secretary of Health Education and Welfare, are also included in this series. Official memoranda and announcements, 1969; 1971-1980; n.d.